The suites are next to each other but each have their own private entrances. 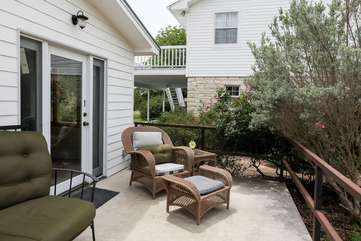 We enjoyed our stay at Mockingbird House and appreciated having such a cozy and comfortable place to stay. Waking up to deer grazing outside and being able to visit with and feed carrots to the donkeys, Amelia and Jackson, are memories we\'ll treasure always.